My relics are profiled that way. Can 'thumb-over' on my '66 reissue but it's a meaty handful nearer the body (LOL). That one's a maple two piece with a really great 'snap' to it. Big, ringing, piano bass. GrantB on the forum here did a great refret for me. I hate the colour though so sacrilege or not I'm going to paint it. Faded Surf Green (if I can get it to fade under UV light) with some relic work to match the neck. I've never had or really played a pre-CBS (maybe for a brief moment here and there). I get nervous around questions like provenance and the kind of figures involved. I see you have had a bit of experience repairing bodies and getting out the uv light. Did you notice any change in sound after a change of paint? Faded surf green sounds awesome, with strat colors my favourites seem to constantly change all the time, I used to hate black now I love it, used to love Olympic white and sunburst now I'm wanting something a bit more unique. My current customshop strat looks feista red but its coral under the pickgaurd. This was my favorite for years but now I'm to used to it, at least it pops off my wall nicely. Which Lowden is that on your wall? 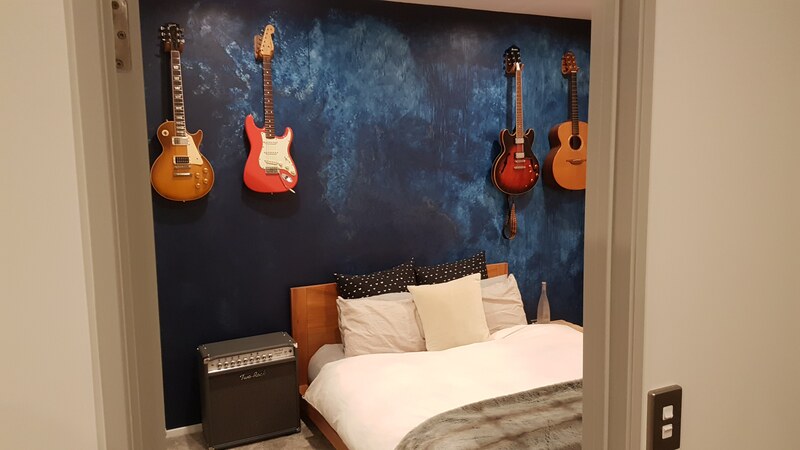 Nice arrangement there, though I prefer not to keep my guitars in such a steamy environment... Only kidding. I'm married. Can't say I noticed any difference in the sound / resonance after a nitro refin but I did find the nitro easy to work with. 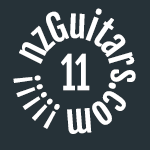 There's a series of, I think, nine videos from Fletcher Guitars all about building a Strat. I found his guidance for painting / finishing invaluable. It's an O25 model and took a lot of intensive searching to find. I can't even imagine how many Martins and Collings and foggy bottoms and gibsons etc I went through when I was living in London as soon as I heard it, it was instantly the one and I haven't even looked at another acoustic since, very happy with it. What model Squier strat is that next to the Epihone les paul? Just joking - they all look lovely!!! Thinking about this build - Are you trying to get close to the level of the other guitars you've got, or are you prepared to accept something that isn't as good as what you've already got? Eg. If your strat didn't turn out as well as your existing one, would you end up using it, or would you be disappointed and end up letting it sit, while you played you current strat? Very nice. They are great guitars indeed. Messaged Danny to see if he has any pics, Oleg. Failing that I'll try Troy. AiRdAd wrote: What model Squier strat is that next to the Epihone les paul? Just joking - they all look lovely!!! 1# I plan to buy a beat to crap strat, which is my life time strat. I am currently selling some things to fund it. 2# I love the 63 neck so much I plan to have a second amazing life time strat, and build it to fill in the strat gaps the other strat doesn't cover. If the deal falls through on the beat to crap strat I'll just be satisfied with this as my only strat. 3# my customshop strat coral strat will be for sale regardless. It has that magical thing going on where 11 gauge strings feel like 10's and 10's feel like 9's. It also has the perfect neck shape I talked about above. At the moment it has J.M Rolph pretender pickups I think from 1963, these things take identical to vintage pickups up a whole new level. If these pickups don't suit my new body and 63 neck I'll sell these too. The coral strat had bareknukle pickups I think I sold to you back it the day, those pickups were installed by Darren Watson I think, when he used to own this guitar. Although I sometimes have these amazing moments with the coral strat and think I can't sell this strat it's awesome, so I'm on the fence about lots of things. Trying to live a minimalist lifestyle as a guitarist is tough. Last edited by Voxshall on Tue Jan 22, 2019 2:59 pm, edited 1 time in total. No reason. We're just an incestuous lot. Hmmm, try checking your PMs! Sorry I came up blank there, Oleg. Clearing-out folders is always a mistake.